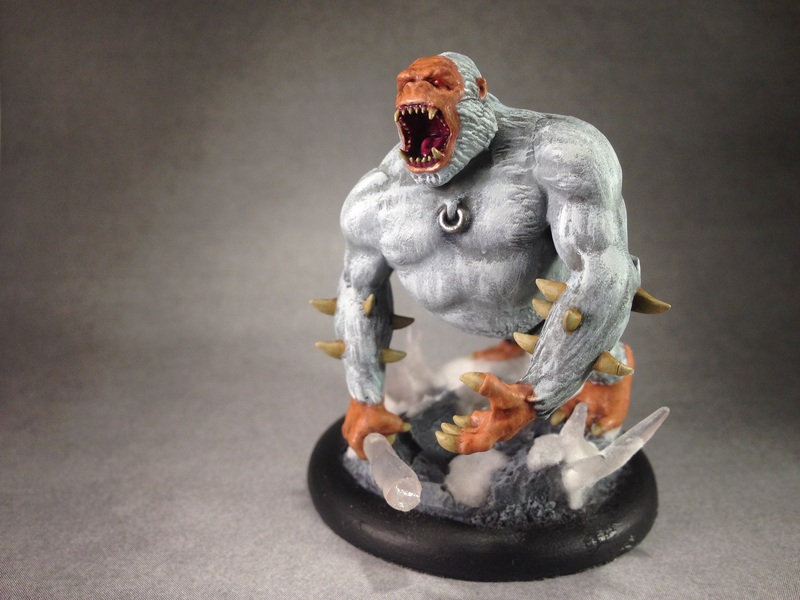 I finally got around to finishing painting the last member of my Claw and Fang crew box–Cojo, the big, angry, spiky gorilla! 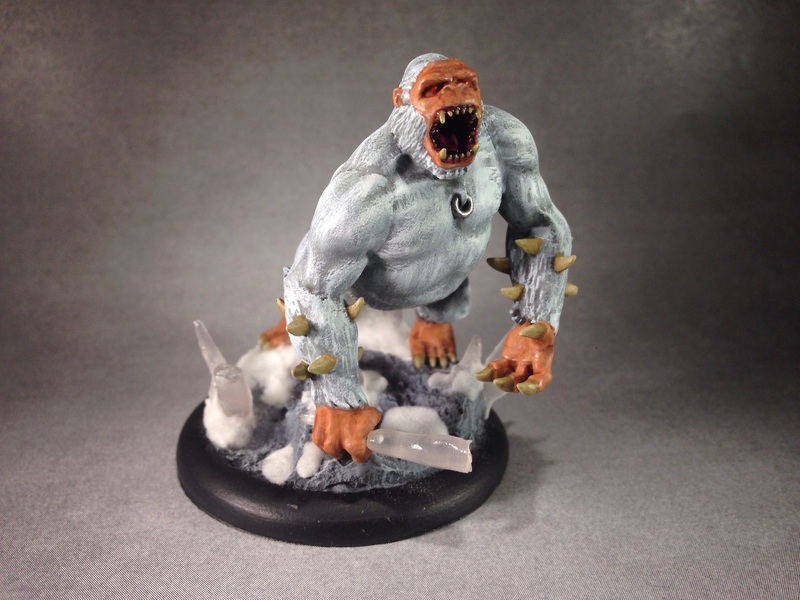 I am really happy how he turned out and am really glad I decided to give him an icicle as a club. 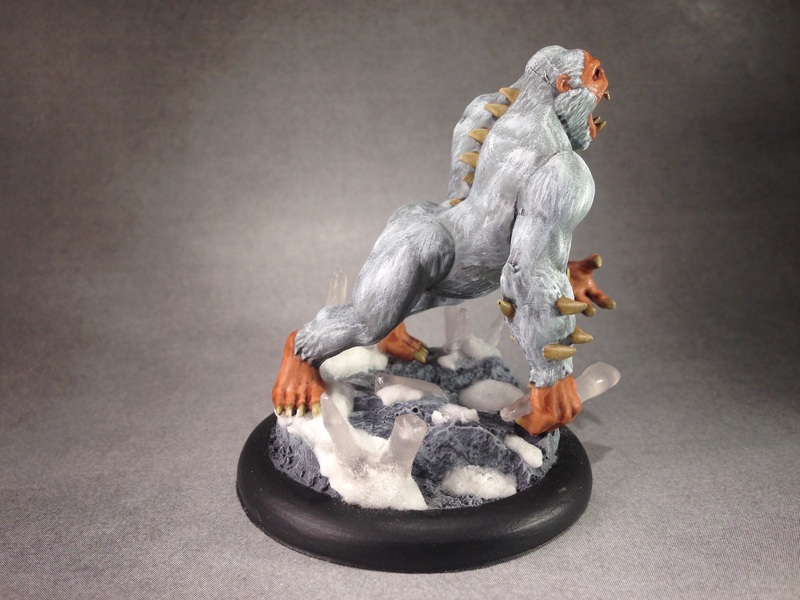 This is another of my beasts from Malifaux. 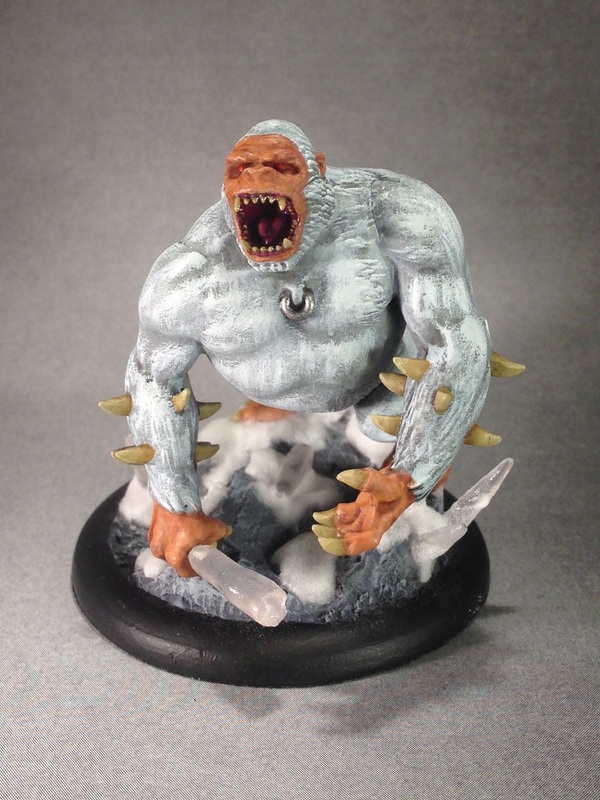 In game, Cojo loves to run in, take up a lot of space, and push the enemy around, so I figured it makes sense for him to have some of the icicles on his base broken off as though he had just smashed through them. 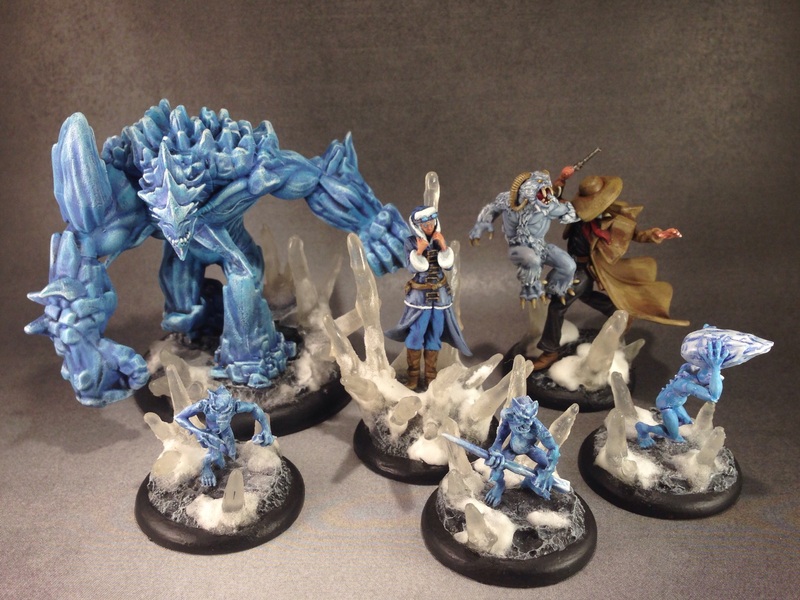 I made the decision to have him wielding one of the broken icicles as a club almost as an afterthought; I am really glad I decided to do this as I feel like it really personalizes the model and makes him fit in with my Arcanists even better. This is the second full crew box I have painted up, so I figured I would celebrate the occasion by snapping family photos of both crew boxes. In a previous post I had called upon you, oh citizens of the internet, to heap your scorn and shame upon me if I did not finish one of five models within a weeks time. I rose to that challenge and finished off Marcus in time. 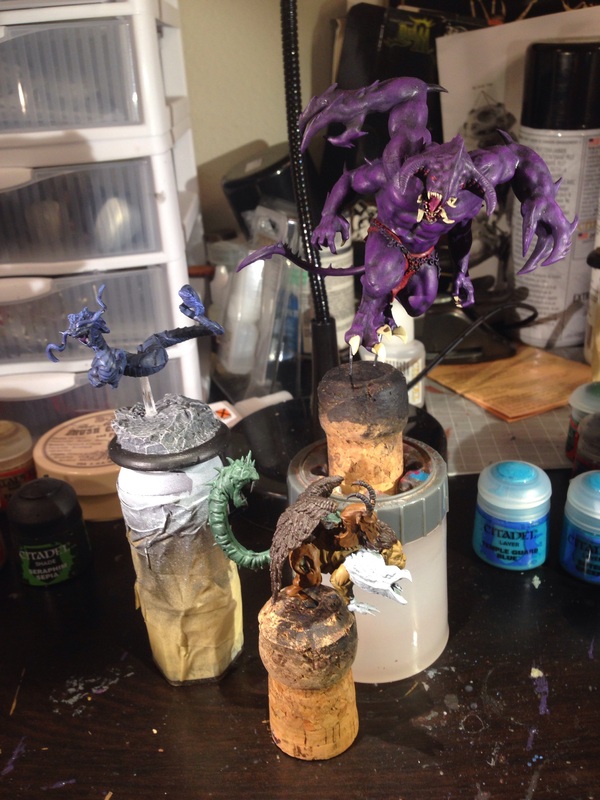 Then I once again called on you to shame me if I did not finish another one of the aforementioned models within a week from that post and Cojo fulfills that obligation. This means that only three of those original models remain unfinished. 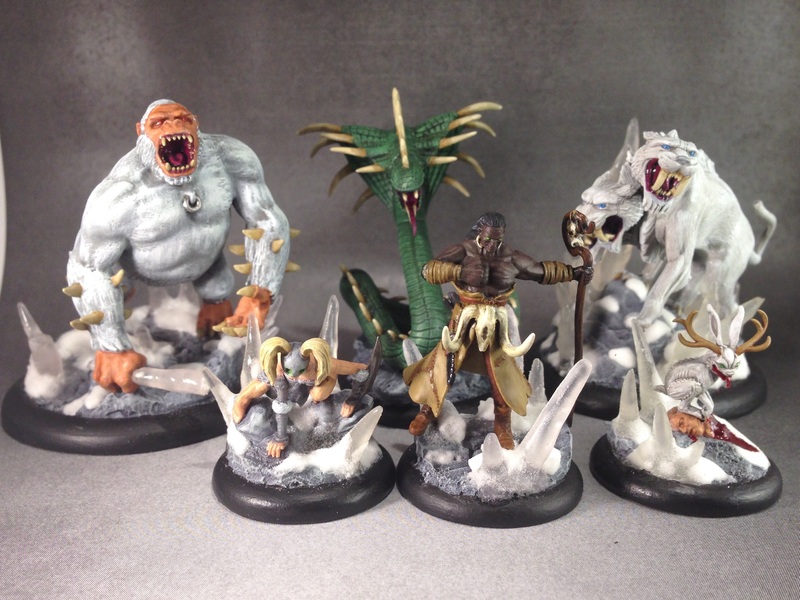 Again I call upon you to heap your shame, scorn, and derision upon me if by one week from today I have not posted a photo of one more of these models completely finished. Iron Painter will soon be upon us and I must prepare myself! Charge!!!!!! !